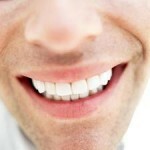 Do you have perfectly straight teeth, but still somehow lack confidence in your smile? It could be the color of your teeth that is giving you doubts about how good your smile actually looks. Tooth discoloration can happen so slowly, over a period of months or even years, that you may not be able to pinpoint it right away as the cause of your dissatisfaction with how your teeth look, but most people do experience some dullness of tooth color at some point in their lives. Discoloration can happen for many reasons. It may be that you are a regular coffee drinker, or that you smoke cigarettes on a daily basis – both of these habits can cause yellowing of the teeth. In fact, most foods and beverages, when taken in great enough quantity, can affect the color of your teeth. If it can stain fabric, it can probably stain your teeth over time, as well. There are also some medications that can cause your teeth to change color, but even just the natural aging process can be a factor. In other words, you’re not alone if you feel that your smile simply isn’t as brilliant as it used to be. Wanting whiter teeth is a very common request from dental patients, and at our Fairfax dental practice we have two options for teeth whitening to cater to different needs. If you want quick results and have the time to come into our office for in-person appointments, power bleaching may be the best option for you. With as few as three sessions, you can get stunning results that last. These treatments do offer the fastest, most powerful whitening, but of course you will need to have time in your schedule to come in for the appointments. For those who would prefer to have an at-home teeth whitening solution, with just one appointment a mold can be made of your teeth, and you will be given a tray to take home with you. At night, you fill the tray with a special whitening solution, and wear the tray all night. Although these treatments may take up to four weeks to achieve the desired result, for some people the trade-off of convenience is worth it. If you are concerned about the color of your teeth and would like to whiten your smile, contact us today for a consultation.